Briq helps HR leaders and managers belonging to innovative and forward-thinking companies to create a unique company culture based on recognition, while fostering employee engagement and motivation. 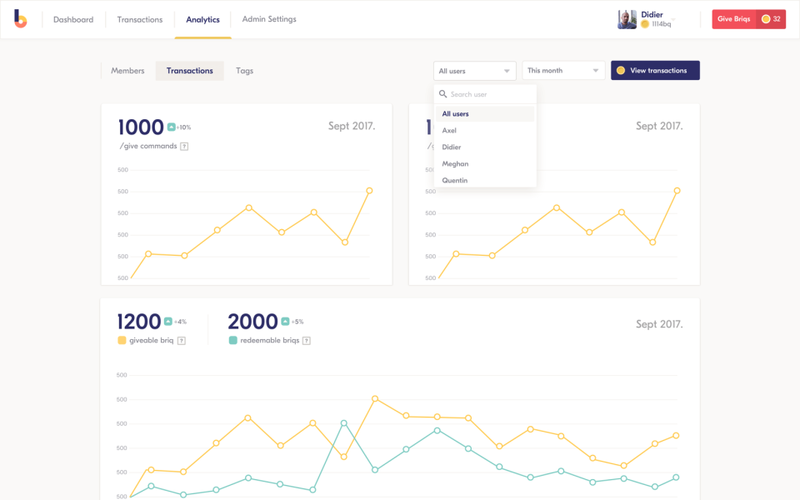 Briq is a customizable SaaS that helps to boost employee engagement while rewarding and recognizing what matters to your business. 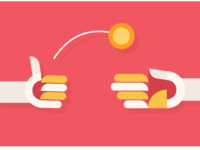 Thanks to virtual tokens called briqs, HR and managers can encourage, reward and measure engagement and performance, while employees remain motivated on a daily basis. Easy to use, and directly integrated with your existing tools, Briq enriches your company culture and improves employee engagement & recognition. Pros: I like the fact that it's really easy to use. Briq key advantage is to be global and connected to most of existing solutions. 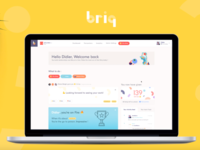 It's not an employee-advocacy tool per say, Briq helps developing a positive culture more globally, with everyone feeling involved and wanting to go the extra-miles - among which, the sharing of content on social media. That's important because in this way teams are already onboarded and don't have to use a 50th tool. Cons: Briq main drawback comes from its strength: it's full of possibilities so you often feel you could benefit from it even more, deploy other use cases, celebrate every type of milestones. Fortunately the onboarding & success teams are pro-active regarding it! Overall: Briq is directly installed in our chat platform (Slack). Everyday, we're encouraged to give positive insights and feedback to our teammates, and we're rewarded when going the extra-mile. I for instance am in charge of the marketing: I can invite the teams to share the articles I want...what they can do in one click, directly from Slack. Pros: It help us spread kindness and good values within the company. Without making employee lose time, it helps create good interaction and bring something really positive within the company. Cons: There's nothing I don't really like... The company is young and developing many new features to come. The customer support is great and as a client, I feel like my ideas are listened and help Briq to build their roadmap. Pros: Briq's share app helps gamify sharing company social posts. 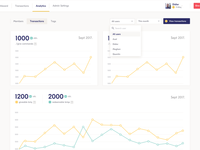 By using Briq we were able to create higher reach, engagement, and ROI on our social media marketing efforts as well as get other teams more likely to share what we were working on (launches, events, content, ...). Cons: Literally nothing. It's dead simple to use and implement and showed immediate impact on our key social media metrics. Pros: Briqs are a really nice way to thank a colleague for his help or to bring joy to a friend ! Also sets team goals to reach an amount of briqs in order to do something together ! Cons: It's not always easy to use for newbies. I think a more complete explanation could be useful. Overall: Increases team motivation to help each-other . Pros: Briqs are great at encouraging you to talk and reward others within the work environment. Overall, we have experienced a huge boost in morale thanks to briq! Cons: We haven't experienced any cons. If there is a bug, we receive help instantly. When we gave feedback, they were receptive. Overall: Briq is one simple tool that ended up solving many of our ongoing problems. 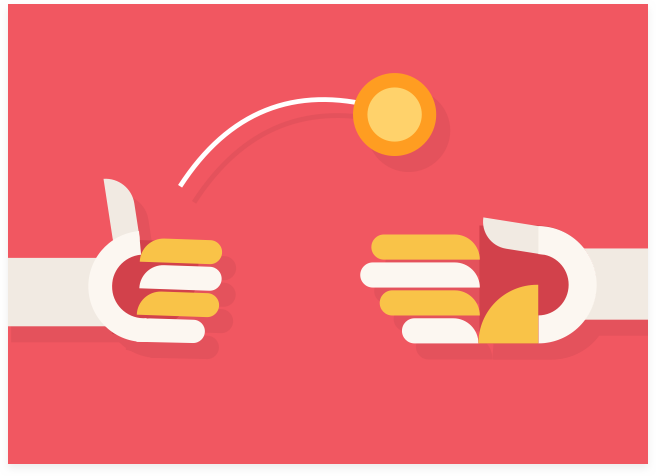 Now, our teammates are able to support & encourage eachother in a fun way that leads to bonuses & prizes. 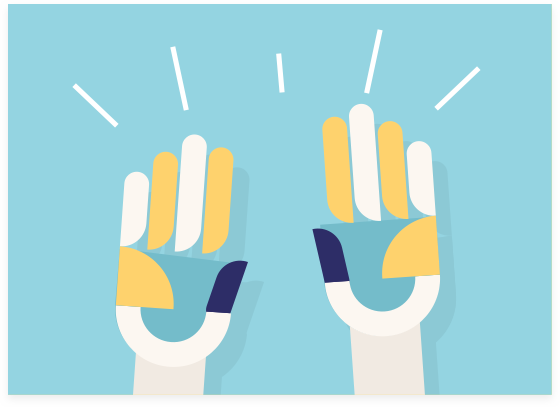 With briq's Mission app, teammates are also recognized for the extra work they do that normally goes unnoticed & unappreciated. The best part about briq is their service. As the product is still under development, they are very receptive to feedback & ideas. We are looking forward to more great things to come from the Briq team. Pros: The slack integration makes it very easy to use and pick up. The team loves it. Cons: I wish the amount of briqs you could give were customizable. Overall: They are great. The team loves it and if any problems arise, the customer support team fixes in a jiffy! Pros: It really helps praising employees and make them feel more rewarded. Also it has been a good way for us to reinforce our company values and to encourage culture-aligned behaviours. The customer support at Briq is restless, always very kind, available and fast in addressing our issues. Cons: The product is still young and a little buggy in some occasions. Depending on your company culture, you might need to well prepare the change managent because not all employees agree with the principle of getting points, have a leaderboard and some of them might not take it seriously and hack the system. Overall: We had a problem with recognition in the company, as well as new formalized culture values that needed to mean something for our employees. Briq has been a good way of doing so, create a clear link between recognition and company values. Pros: Slack integration makes it very easy to deploy and use. Must have for all remote teams. Cons: No leaderboard for team members ; no team management. Many thanks for your comment! About your suggestion: we do have a leaderboard available for Slack users. We are also developing a "team leader" status that will have access to admin powers and also to analytics regarding her team. Pros: Cool features, ways to gamify your work. It brings people together and allow to have another dimension to your work. Pros: Boutique idea and missions , it motivates the team to do their best always. Cons: admin controls the full account , he can limit the daily briq to only 3 ?! Pros: Engagement people put through it and how it helps people interacting elsewhere than at the coffee machine. Many thanks Maxime for your review! We agree with your comment, that's why we worked on the onboarding and we now walk you through Briq's main features when it's your first connection. 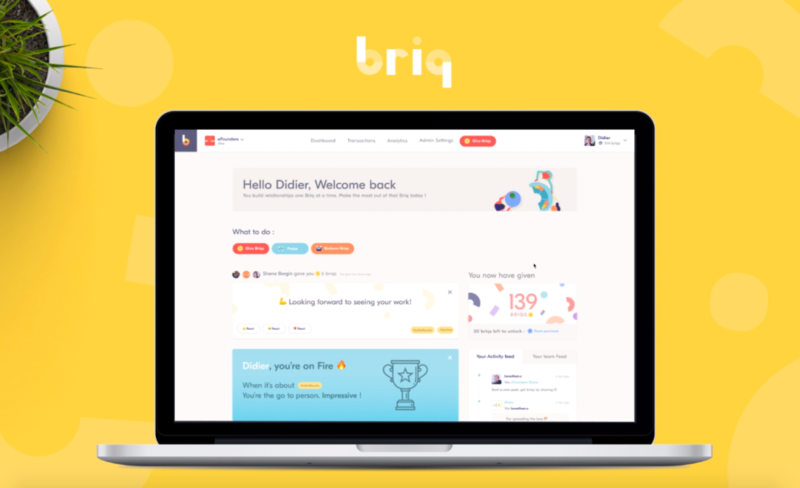 We'll keep improving the onboarding process thanks to features' notifications, according to how you use Briq. Great fun ! Very Rewarding! Pros: The idea of providing recognition to my colleagues in a fun and interactive way. Cons: It can be a little bothersome when you are in a hurry to get the command right first time. I often give one briq when I ought to give more ! Overall: So far so good! Majority of the team is active. It fosters feedback and collaboration, which was our goals. 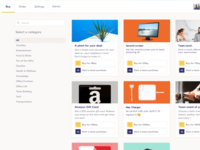 Pros: It gives team members the ability to easily recognize and reward their peers. Cons: I haven't noticed any cons about this software just yet. Thanks for the review! We're very pleased to know you don't see any cons about Briq. Don't hesitate to give us ways of improvement if you can find some! Best regards, the Briq team. Cons: I didn't like how I wasn't able to select 1 or 2 briqs to give to someone. It'd be nice if the default briq amount wasn't 3, or if there was an option to give less I want to distribute my briqs for smaller things. Easy way to show appreciation! Pros: The way it eases up the mood in the office is very refreshing and innovative. Pros: I like the way that perks are gamified in company. 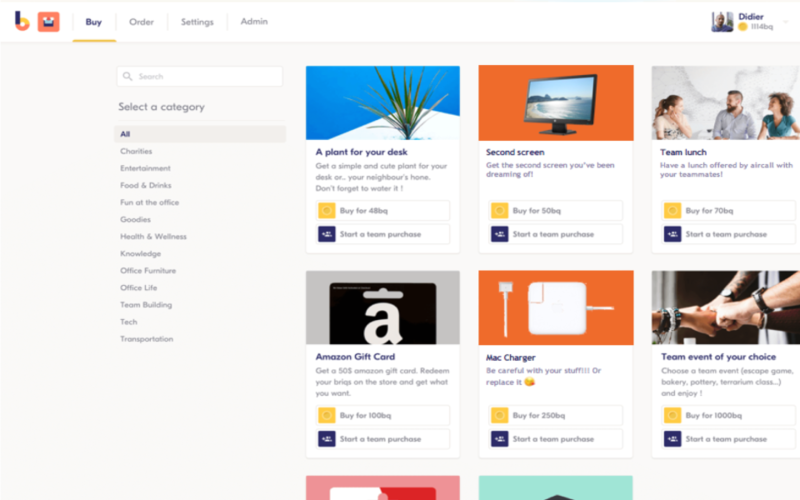 Pros: A great way to show your appreciation for fellow employees, plus it's a blast to use. Cons: Nothing really! Maybe sometimes people overuse it, but that can be adujsted by the HR or Culture Manager. Overall: It's a nice and easy way to say thank you when someone goes above and beyond and helps with office morale. Overall: Helps us reward the team, giving feedbacks, making our community happy and entertained.